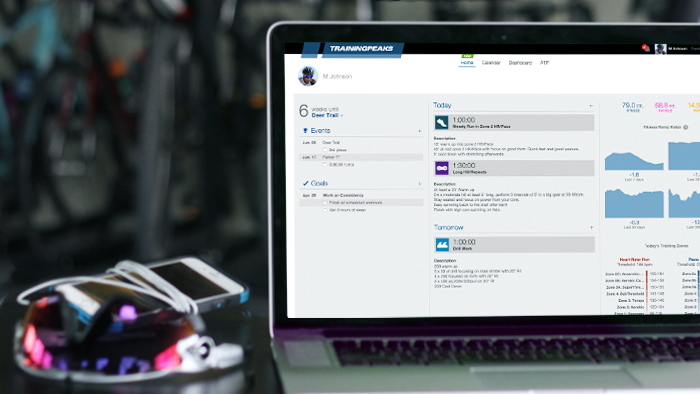 The TrainingPeaks Home View for Athletes was created to give you a single place to view your long term events and goals, your upcoming workouts, and fitness trends. Putting this important information together on a single page acts as a snapshot of your main goals and how you are progressing towards them. Below is an overview of how the Home View functions, and how you can customize it to meet your needs. 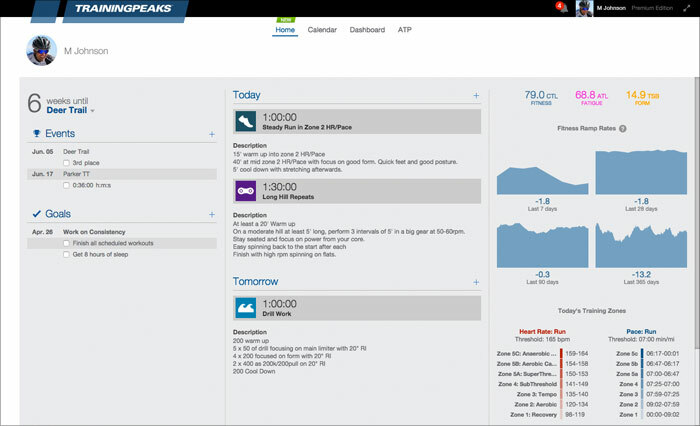 Your events and goals will be shown on the left side of Home View. This is where you can quickly view your focus event at the top and all other events will be listed below. You can also view the process goals that you have set up to keep you on track to meet your event specific goals. Planning events on your Calendar is the first step to a successful season. You can now add an event to your Calendar via the Home View. Simply click on the plus sign to add an event and goals specific to that event. Events that are created in your Home page will also show up on your Calendar. One of the main reasons for Home View is to allow you to easily view your most important upcoming event, which is displayed at the top of the Goal section. By default, the next A priority event on your Calendar will be shown and you will also see a countdown of the weeks and/or days until that event. However, you can change the focus event by simply clicking on the name of the event. Adding a goal is a great way to stay on track for your event. These goals are designed to be more process oriented, and can have a series of sub-goals under each main goal. Use these goals to stay on track with your training. Add a goal by clicking on the plus sign next to the Goals title. All goals created in Home View will also be shown on your Calendar. You will see your planned and completed workout(s) for today and tomorrow if you have one planned. The workout type, title, and description will be displayed. You can add a workout to the current day, or tomorrow on Home View. 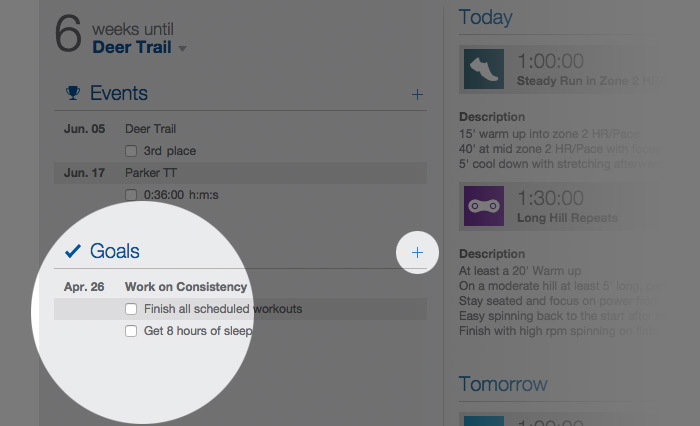 To add a workout, click on the plus sign next to Today or Tomorrow. To interact with a workout, click on the title of that workout. 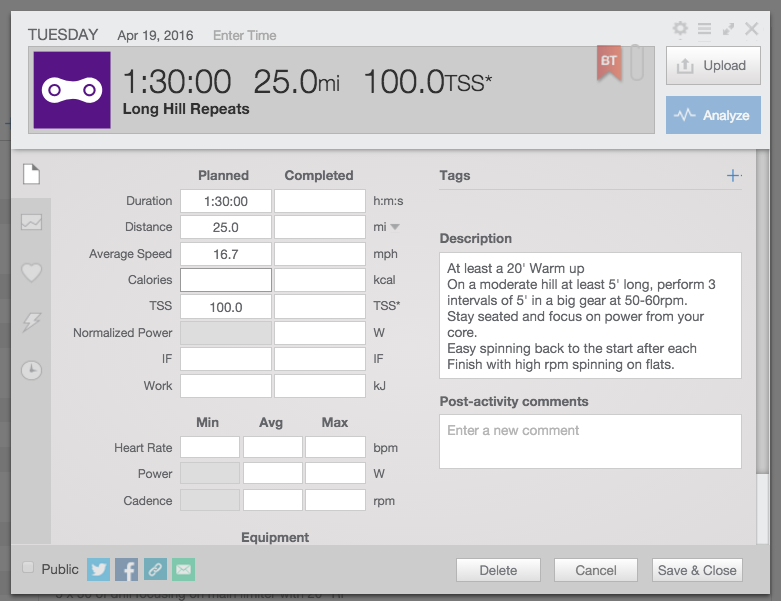 This will open up the QuickView window for you to add comments, upload data, and analyze the workout. 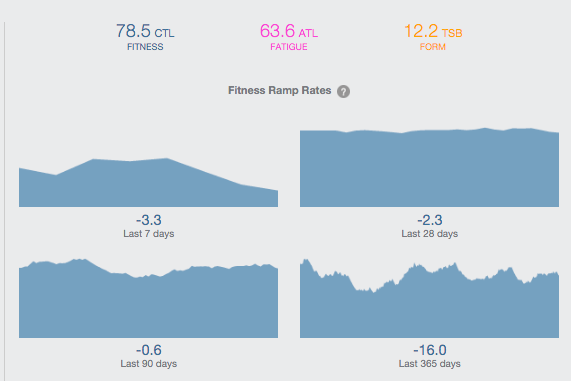 View your ramp rate to get a quick indication of your gains or losses in fitness over time. Your zones for workouts scheduled today or tomorrow are also visible. Ramp rate is an easy way to view your long term fitness trends. Ramp rate shows your gain or loss of fitness over the past 7, 28, 90, and 365 days. A positive number shows gains in fitness while a negative numbers shows a loss. Ramp rate is only available for Premium Athletes. 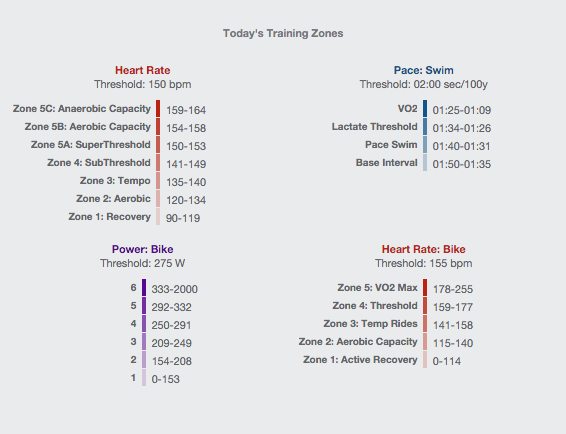 You will see the heart rate/power/pace zones that are associated with the workout(s) for today and tomorrow. For instance, if you have a run and bike workout, you will see your heart rate, pace, and power zones for both workouts.